There are different rocker arms for the big valve heads compared to the SV heads. The easiest way to check what you have is to measure the valve diameters first. Are they 37/30 or 35/30 (some 400’s had 27mm exhausts)? Next the rockers then. 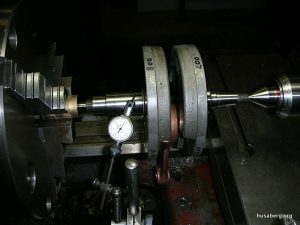 Measure to the outside of the screw threads with a vernier. Thickness of standard gasket is always .056″ or 1.4mm. A thicker gasket is available than standard. OEM Husaberg Piston / Cylinder clearance is .002″ – .0025″ (Lineaweaver). All have a little end of 20mm EXCEPT the 350/40 which has an 18mm little end bush. The bushes are interchangeable. (JBS Racing) However, all 20mm bushes spin regardless (Lineaweaver) because the bush material is thinner and looses it’s compressed state. Want to skim the engine block to increase compression or because of engine warpage? Here’s the correct way to skim a Husaberg motor. The spigot should be flush with the block or can be proud by up to .005″ (Lineaweaver). It may pay to have the spigot and crankcase machined separately. Is .15mm (.006″) (Simon). Don’t have this? Fit the rocker cover screws then tap the black end caps inward till you do! Both halves can be out of line. Lineaweaver made an arbor and changed the tolerances to a KTM specifications of 0.1-0.2mm float. Due to extremely tight fit-the bearings should still be “snug” after machining lightly. How True Runs the Crank? The linar on all the 100mm bore engines is exceptionally thin. It means that over a period of time it gets pulled oval by the action of the piston driving into the front and back walls. Check for ovality. The spigot – less the ‘O’ rings wants to turn freely in the cases. The absolute minimum should be measured at 1.25mm on the exhaust, 1mm inlet. preferably another .25mm should do it. ’53’ cam = 112° (Measured with zero lash). 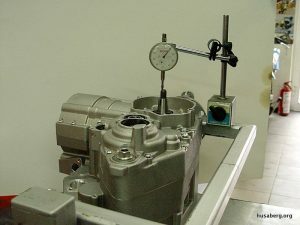 From 1mm lift the ’53’ cam’s -inlet valve timing is: Opens 10° BTDC, Closes 54° ABDC. I could not get Dale’s cam timing figures using the 1mm lash but could get them without it perfectly though! so the simple rule is to have both lobes pointing up at 11 and 1 o’clock. OEM camshafts 820.36.010.000 and H-200.342.08 share identical profiles. 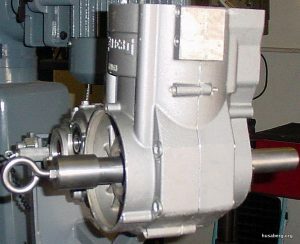 The later unit is shipped with a matched auto de-comp lever. 1mm lift / 0 Lash / Straight Up.